Very Good. Gooney the Fabulous (Gooney Bird) by Lowry, Lois. Trade paperback (US). Glued binding. 94 p. Contains: Illustrations, black & white. Gooney Bird, 3. Intended for a juvenile audience. Good. 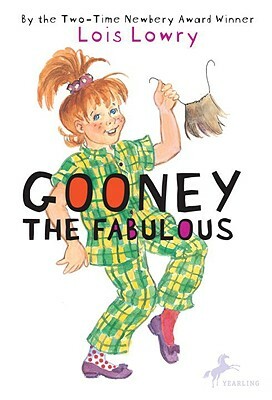 Gooney the Fabulous (Gooney Bird) by Lowry, Lois. Trade paperback (US). Glued binding. 94 p. Contains: Illustrations, black & white. Gooney Bird, 3. Intended for a juvenile audience. Good. Gooney the Fabulous (Gooney Bird) by Lowry, Lois. Glued binding. Paper over boards. With dust jacket. 94 p. Contains: Illustrations. Gooney Bird Greene. Intended for a juvenile audience.